I was greeted warmly by the staff, was taken in immediately (which i never expected) and given a wonderful and thoroughcleaning and consultation with the dentist. No stress. I was greeted warmly by the staff, was taken in immediately (which i never expected) and given a wonderful and thorough cleaning and consultation with the dentist. No stress. Dr. David Solomon has dedicated over 21 years to providing families in his and the surrounding communities with quality dental care for a lifetime of healthy, beautiful smiles. He places great emphasis on being an honest, caring dentist who treats his patients, not just their teeth. Dr. Solomon's gentle manner makes him a natural when it comes to dealing with cowards. 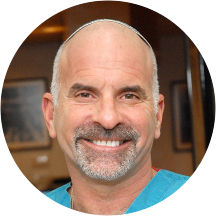 Dr. Solomon graduated from New York University Dental School in 1987. He then completed an Advanced Education Program in General Dentistry at NYU Dental School. Dr. Solomon is a member of the American Dental Society and the New York State Dental Society. He is on the board of directors of the Nassau County Dental Society. Dr. Solomon grew up in the community where he currently lives with his wife and two children. He is an avid sports fan and collects sports memorabilia. The displayed signed photos, helmets and other memorabilia add even more appeal to a warm and inviting office. Great staff, very friendly,knowledgeable I would definitely recommend. Loved Carol! It was worth the wait. As a new patient we were not surprised at the wait. The office was very busy, but the staff was very attentive and we felt reassured that we were in an efficient practice. The appointment wasmade on line, which is a first for us. The care was very attentive and professional. Dr. Solomon and his assistant made my visit painless and stress free. Tooth extractions do not usually make one feel calm, however, I felt I was in very good care with their professionalism and wonderful bedside manner. Dr Solomon is a very nice and intelligent guy. I was seen my his co-worker Dr Friedman. Both Doctors sat next to me to help my situation. I was in MASSIVE pain from 3 root canals that i had done 7months ago and got infected. I was in terrible pain and these 2 doctors really went that extra mile to educate me, show me the reasons and explain to me the best solution in making sure i dont feel pain anymore, fix my teeth for the future, and save myself some money. If people see this comment, please take my advise and go see these Doctors, Espically Dr Friedman. Dr Friedman really really helped me out today. Im telling you this, if your in pain, and you need help with your teeth, go see this office. I promise you, you will not regret it. I am so scared of the dentist but this was one of the best experiences! What a great dentist. I found my regular!